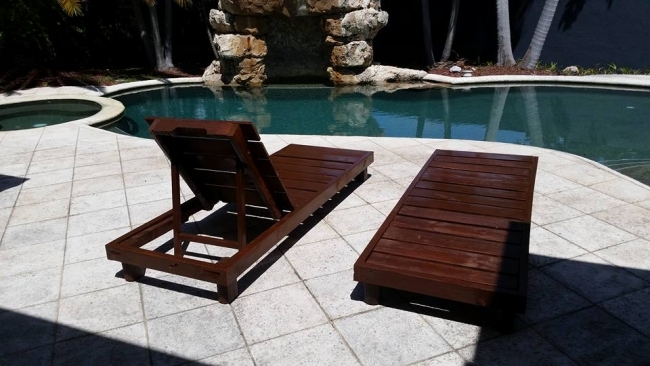 Are you looking for an amazing and cost effective furniture for your lounge, Outdoor lounge pallet chairs are the best. These lounge chairs will add to the rustic appeal and give a modern touch to the room. The pallets have provided us the options to convert our home furniture into entirely new form and style. The outdoor pallet furniture is becoming increasingly popular for easy and free availability of reclaimed pallets. Any size and design can be made by cutting the wooden planks as per requirement. 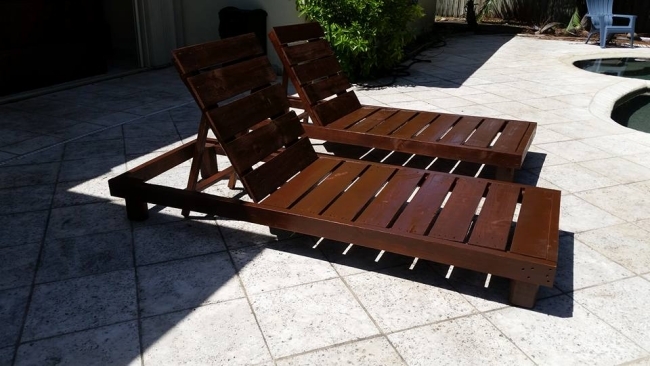 Fantastic outdoor pallet furniture can be constructed by investing very little and decorating the furniture with bright colored fabric and cushions.The Lounge Pallet chairs will provide you a chance to enjoy the winters sun bath to the full. They compliment the overall outdoor natural theme by adding to the environment. Lounge furniture adds to the most important part of house space where most of time is spent and the guests will get the overall notice of house. The pallet chairs give a welcoming and pleasant appearance by equally fulfilling your needs. 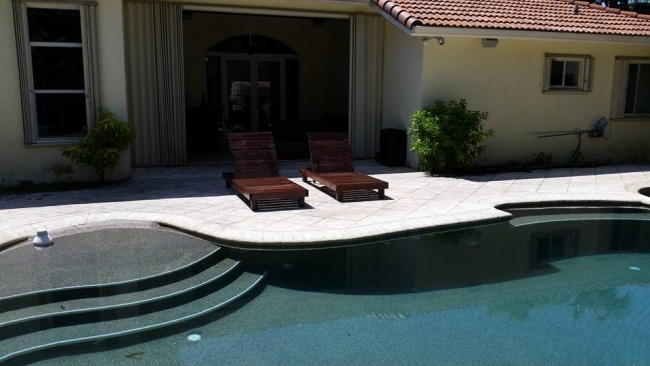 These chairs when placed by the pool side get you amazing time to enjoy fresh air and breathe. 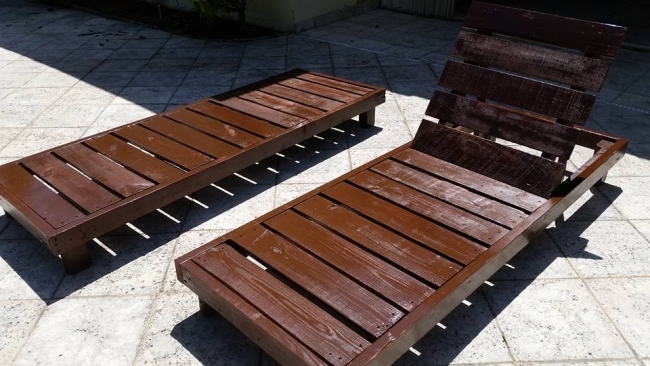 Entertain in style and create an amazing social space with these Outdoor Lounge Pallet Chairs as they have been made and varnished with brown paint to give a bright look. discuss about pallet chairs. being cheap and chick the pallet chairs are very comfy to sit or lie in outdoor atmosphere. The rustic brown paint is going striking and complimentary with the garden planting. These chairs are innovative way of integrating the style with design and they are easy to clean and maintain. They can be cushioned with spare mattresses if you want to enjoy afternoon nap or reading your favorite book or magazine. Now create your own outdoor entertaining area with perfect lounge chairs.